I am the most senior of staff as I have been with Forest Grove for 9 years and am still surprised how each day brings me a new adventure. I am the curriculum manager which allows me to train new staff and families on how the Reggio Emilia philosophy is translated into organic learning. Although I take great pride in my management position my passion for children and learning remains intact as I continue to work as an E.C.E in the classroom. As a mother of two sons I have my hands full but find I am able to recharge through nature and creativity. As a 7 year veteran of Forest Grove, and returning for my 8th year I can whole heartedly say that, ‘it just keeps getting better’. After teaching in many different countries I found my passion in the Reggio Emilia teaching style and have been a proud supporter since first familiarizing myself with its approach. I have taught many different programs but found my true passion is the preschool program where I have the luxury of welcoming new families and friends to Forest Grove with warmth and gratitude. I also hold the position as the Manager of Operations which means if you’ve ever had a tour, needed some questions answered or just wanted to learn about Forest Grove we have probably already met! I graduated from Sheridan College in 2010, with both a diploma in Early Childhood education, and a Bachelor of Fine Arts degree. 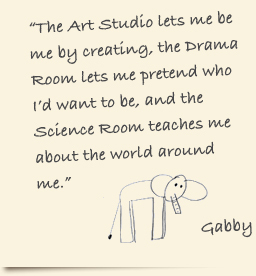 I am passionate about bringing art and children together, getting messy, and most of all, creating an environment where everyone has something to say, and space to say it. I began my journey with Forest Grove 4 years ago and I have been fortunate enough to have experienced a number of programs, beginning with a Before and After-school teacher in multiple rooms and continuing on to Office Administration and Driver. I oversee new and continuing registrations, ensure children arrive and depart safely to and from local schools and participate in day to day operations. I absolutely love every part of Forest Grove and what we have to offer children and their families, in respect to the highest standard of care, comfort and reliability. I enjoy spending time reading, watching movies and spending time with my two amazing children. I believe in working hand in hand with children and parents to foster strong relationships and to provide the best in customer service. I truly look forward to meeting new families and maintaining my friendships with existing families! After 13 years at Forest Grove, I have become known as our in-house game player – old fashioned, traditional, board and card games. A nature lover, I love to share my years of accumulated knowledge about birds, plants, gardening and dogs, which dovetails perfectly with Forest Grove's Reggio philosophy. Maintaining a composting home for red wiggler worms one season was one amazing experience for all. As a voracious reader, I regularly return from the library with armfuls of books to share with everyone. Having worked with school age, JK, SK, preschool and toddlers, my background in gymnastics helps children safely experiment with the body's movements with assurance and new-found abilities. I am entering my 6th year at Forest Grove and have been fortunate enough to have worked in different programs allowing me to get to know a variety of children and families. I am now working in the preschool class and I'm loving the happiness and laughter the little ones bring to each new day. My role as a mother has shaped my ability to nurture and support children through experience and understanding. I find a strong sense of privileged working so closely with children and to have gained the trust from their families. As one of the newest members of the Forest Grove family I feel very fortunate to have been accepted not just by the staff but by the children and their families as well. I am an avid traveler and after many years of wanderlust I realized that my heart belonged to children. I wanted to get involved and work with them as much as I could, to teach them but most importantly to learn from them as well. I was lucky enough to work with children overseas and to realize that no matter where you are, the kids can teach you so much about things you thought you may have already known. I really do love my job! I am thrilled to be one of the newest members of the Forest Grove family. I graduated in 2013 with a Bachelor's degree in psychology and sociology. Throughout my university career, I found myself gravitating towards courses in child development and placements that involved working with children of all ages from varying backgrounds. I am fascinated by cognitive development and believe that every child learns differently. I am also very interested in the therapeutic use of music, art, and nature. In the next few years I hope to complete my Master's of Education in counselling psychology. Combining my passion towards psychology and children, I aspire to be a child and youth therapist. It is incredible how much I have learned in my short time at Forest Grove. My goal is to create an inclusive and stimulating environment for the children in my afterschool program. I am excited to develop meaningful relationships with the children and families at Forest Grove, as they have been so welcoming to me! I am an American citizen that grew up in the state of Virginia. I graduated from Virginia Commonwealth University in 2008 with a Bachelor of Fine Arts degree in Art Education, qualifying me to teach kindergarten to 12th grade art classes. I moved to Oakville as a visitor in February of 2011 and just recently received my permanent residency. I am thrilled to be a member of the Forest Grove family, which enables me to continue pursuing my passion for working with children. I hope that with my knowledge and the creative minds of your children, we can come up with fantastic activities and projects that will not only be fun but also memorable learning experiences. I am an Ontario certified teacher with a Bachelor's degree in elementary education. I feel very fortunate to be a member of the Forest Grove family. My Forest Grove colleagues are all so kind, helpful and generous with their knowledge; “Teamwork is always in the air ". It’s incredible how much I have learned in my one year at Forest Grove not only as a teacher but as a person and a friend. I am fascinated by Child Cognitive Development and believe that every child is naturally unique, creative and learns differently. As a teacher, I learn with my students every day and I do believe that teaching is the noblest profession. Through my years of experience I have worked with various age groups and I am currently teaching kindergarten children where I am inspired by the Reggio Emilia approach. Being an educator, I have developed a greater understanding that each child is capable of learning in different ways and I strive to find techniques to support and embrace the differences in each child. I also believe it’s important to build strong connections with families to help foster an environment that will support a partnership in learning. I look forward to meeting new families in the community and I am motivated in working together to support children grow and excel in all areas. I am the newest member of Forest Grove having joined the staff in January 2015. My educational background is in tourism and hospitality which taught me that a good attitude and great mood goes a long way! My position at Forest Grove involves a lot of multitasking but what I love most is my time spent with the children while transporting them to and from local schools. I take my position of making sure they arrive safely very seriously. I look forward to getting to know all of the new children and families and another great school year. I started my adventure with Forest Grove one year ago and I feel very fortunate to have been accepted and welcomed by the children, their families, and the staff. Over the past year I got to experience before and after school programs in multiple studios and I look forward to joining Stuido 7 this year. I graduated from Sheridan College in 2012 with a diploma in Early Childhood Education. I’ve had 8 years of experience in working with children between the ages of 2 ½ - 12. I’m often fascinated by how children see the world, how they learn and play, and by how much I can learn from them. I love to get messy with art and science projects and create fun experiments. I don’t mind getting my hands dirty if it means having a great time.